You should learn how to use fabric glue since it can be a great alternative to sewing. There is no doubt that sewing will continue to remain the most important method of fastening two pieces of fabrics. However, under certain circumstances, using glue may be a better choice. In fact, it can also be necessary. Nonpermanent fabric glues provide a great advantage since they form temporary bonds. You may need temporary bonds to laminate two pieces of fabrics together for a limited time. For instance, you can use fabric glue to convert pieces of fabric into a Halloween costume. Since Halloween comes only once a year, you would like to use temporary bonds for your fabrics so that they can be easily used for other purposes once Halloween is over. Nonpermanent fabric glues offer a great solution if you want to join fabrics only temporarily. There are fabric adhesives that can form permanent bonds. You can use such adhesives on materials like plastic and wood. Permanent fabric adhesive has its own set of advantages. These glues are often washing machine safe. You won’t have to worry about the glue coming off due to washing. These glues are great for craft projects and for attaching decorative pieces to your apparel. You can also use permanent adhesives for repair. For instance, if your denim pant has been ripped, using stitches to hold the torn fabric together may fail because denim frays easily. In such cases, it would be a good idea to use permanent glue to bond a patch in place. Before you use fabric glue of any kind, you should read manufacturer specifications. Although fabric glues are used to primarily bond different kinds of fabrics with each other, they can also be used to join other materials like leather, metal or even glass. Although most glues can work on all kinds of fabrics, there are some that work only on synthetic fabrics. This makes it important to read the manufacturer specifications to understand the materials that the glue will work with. If you are working with synthetic fibers, it is best to use fabric adhesive that is designed to be stretchable and flexible. It is advisable because these adhesiveswill not soak through the fabric and, as a result, the fibers will not bunch together. If you want to bond natural fabrics, it is better to use thicker fabric glues. Using high viscosity glue for natural fabrics is recommended since there is a likelihood that the fibers will bunch and tangle. Fabric glues resist flowing along the fabric surface. This can be an advantage because it means that the glue will not spread and ruin the fabric. However, there are instances when lower viscosity is better,particularly when you are working with fine fabrics or doing a small repair job. To make the glue thinner, you can mix the adhesive with acetone in a mixing cup. Keep adding the acetone until the glue is thin enough. Before you use fabric glue,you must make sure that the fabric surfaces are free from dust and dirt. The presence of foreign material will weaken the bond formed by the adhesive. The bond will not last long and it will have lower strength. You must also read the manufacturer instructions to ensure that the gluewill not deteriorate with machine washing. Certain fabric glues are designed to lock loose threads and to stop the fabric from fraying. These are good for mending tears and ripping. Nonpermanent fabric glues are ideal for sewing thin and silky fabrics. Working with such fabrics is difficult because keeping them still is not an easy job. Stitching these fabrics in the wrong places is far too easy because the fabric pieces will move relative to each other with even the slightest disturbance. The best way to keep these fabrics perfectly positioned relative to each other is to use nonpermanent fabric adhesive. Since the bond formed is not permanent it can be removed once you have stitched your fabrics. This is why nonpermanent adhesives are a must have for sewing thin and smooth fabrics. You can then remove the glue easily by using a thinner such as acetone-based solvent or nail polish remover. Apply only a small amount of thinner to a clean towel and use it to gently blot the area from where the glue must be removed. But before using a thinner, you must do a small patch test on the fabric. This is because certain solvents can ruin and discolor different types of fabrics. Use the solvent only if you are certain that it won’t spoil your fabric – the patch test will help you out. If you have adhesive on your skin then you can use Goo Gone to remove it. This oil-based solvent is very good for removing hardened glue and is also very gentle on the skin. To avoid getting glue on your hands in the first place, it is best to use gloves. You can use glue instead of making long stitches if you want to save time and effort. A glue that has been specially formulated for basting can be used for garments, quilts, and other sewing work. Since it can be washed right out of fabrics, basting glue is very convenient and easy to use. You will not need to tear out the basting stitches later on or use pins. It is a good idea to look for a glue that has a fine applicator tip so that you can use the glue with ease even in tight spots. Roxanne Glue Baste- It is a good choice for this purpose. If you use a lot of pins in your sewing work, there is a good chance that you can sew over your pins. This is very annoying and can also lead to damage, especially, if you are using a serger. Glues can be a very good alternative to pins. Pockets can be rather tricky to sew since they can easily move relative to the underlying fabric. Even if you are careful, you can end up with misaligned pockets. The best way to deal with this is to use nonpermanent fabric glue so that pockets are held securely with no chance of movement. Using glues in this way can save you a lot of time and avoid plenty of hassle. You will not have to rip out the stitching and redo your work just because your pockets look a little crooked. Glues can be a good idea, especially for quick and temporary hemming. If you are in a great hurry and don’t have the time to mend a torn hem, you can use fabric glue to hold the fabrics together. Once you have the time, you can work on a more permanent hem. Some materials can fray very easily. You can use fabric glue to hold a patch in place if you don’t have the time. Patching such areas with sewing can be tricky and time-consuming. Gluing can serve as a great temporary solution when you are running short on time. Fabric glue can also be a good choice for attaching badges in place or for placing metal studs and other small objects to your garments. Fabric glue is often a convenient and durable choice for such small articles. In such cases, you must make sure that the glue is safe for machine washing. You must also read the instructions and follow directions provided with your fabric glue. Certain decorative items like a rickrack can be securely held in the right position with the help of fabric glue. The other alternative is to use a lot of pins for the purpose but this can be inconvenient and can even damage the material. Using pins in this way requires a lot of time and unnecessary effort and you can also end up pricking your fingers. A much better alternative is to use fabric glue. Not only is it much faster but it is also much safer for you as there is no chance of pricking your fingers while using fabric glue. Spray fabric glues are great for quilting work where you have to use appliqués. While you are creating a design you can use spray fabric glues to securely position the appliqués until they are sewn. If your sewing work involves difficult materials like plastic, vinyl or leather, it is always better to use fabric glue for temporary bonds. Stitching is not a good idea for temporary bonds because stitching through such materials is not only difficult but it can also damage your needle. 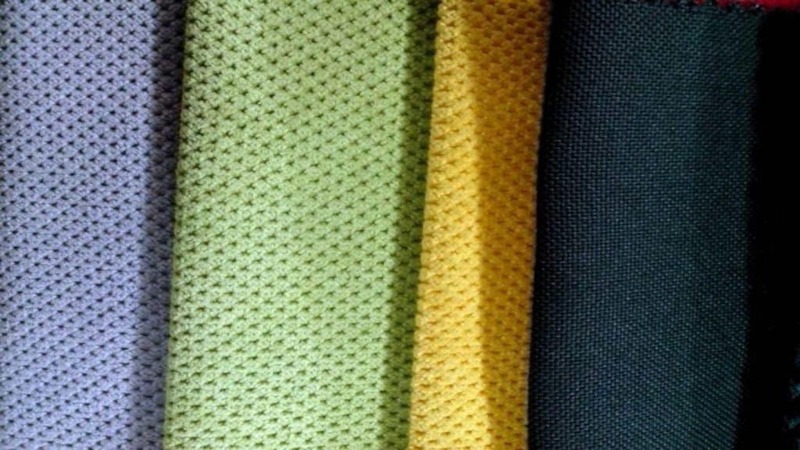 Stitching through such material will also put great strain on your sewing machine. Moreover, sewing will punch numerous holes and ruin the quality of leather, canvas, vinyl and plastic. On the other hand, the right type of fabric glue will not harm your material. While making small and temporary sewing projects like fabric jewelry, you will find that some pieces are just too small to be sewn in place. You will need fabric glue to hold these pieces in the right position. Likewise, you will also need fabric glue to temporarily hold the pieces together until the final shape is developed. This easy-to-use fabric glue is great for beginners because it is easy to apply. It will minimize the amount of needlework since it can be used for basting. This glue has a very good shelf life since it has been known to last for up to 10 years. The glue dries in minutes and can be conveniently used with a wide variety of fabrics. It is also washing machine safe, so you don’t need to fear that your sewing work will fall apart if you put it in the wash. This fabric glue is a good alternative to needles and threads. It forms strong permanent bonds so it is ideal for small objects that you will be attaching to your crafts projects. Additionally, it is also flexible, so your fabric jewelry will not become stiff. It is, therefore, the ideal solution for your fabric-based jewelry craft projects. Since this is a water-based adhesive, it will dry and set quickly. Unlike some other glues, it will not form ripples along fabric surfaces. The advanced formula is safe and nontoxic. Moreover, since this glue is so strong, you only need to use it sparingly. The 4 oz. pack will, therefore, last a long time. This permanent adhesive is crystal clear and will not soak through your fabric layers. You can therefore use it accurately without fearing that it might spread. It binds well to different sorts of materials such as lace, leather and wood. The advanced formula has low odor, is non-toxic and easy to work with. 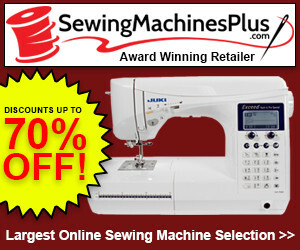 It will set within a few minutes so that you can progress quickly through your sewing work. 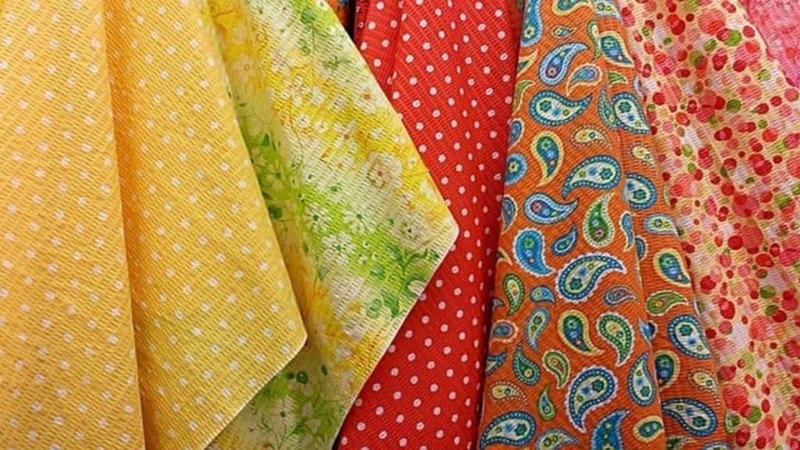 It can be used for a wide variety of decorative pieces like sequins, trims and beads on a variety of fabrics like jersey, flannel, cotton and leather. This glue is crystal clear and it adheres quickly to all sorts of materials. It is fast drying and easy to apply so it can be used on difficult fabrics like lace and leather. The bond formed is permanent and therefore safe for machine washing. Fabri-fix is a quick solution for quick hemming, repairing and mending. In addition to learning how to use fabric glue, you now have a good idea about some of the best fabric glues in the market. This will help you a lot with your sewing work!